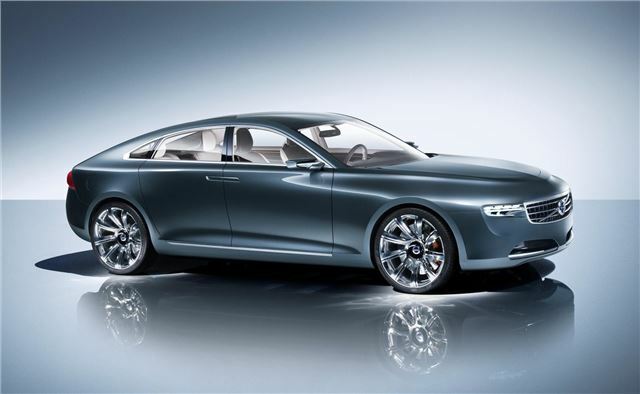 The new Volvo Concept has been revealed at Frankfurt. It builds on the design of the Concept Universe which was premiered earlier in the year. Built to give an insight into future of Volvo luxury cars, the coupe-like profile encloses a well appointed cabin with impressive technology. The styling nods at older models from Volvo’s past, but combines it with touch-screen interior controls and a high tech audio system, as well as luxury materials like thick, hand tufted carpets, leather, suede and suit fabric. The touch screen controls are in important part of the design, explains Peter Horbury, Vice President Design at Volvo Car Corporation: "The Concept You explores new territories in our search for the ultimate intuitive car that makes the owner’s manual a thing of the past. Smart phones and smart pads have brought mobile infotainment into a new era. Here, we use a number of touch-screens to replace buttons and controls in order to make the driver totally connected, totally in control. The technology also helps us to create a refreshingly uncluttered interior."